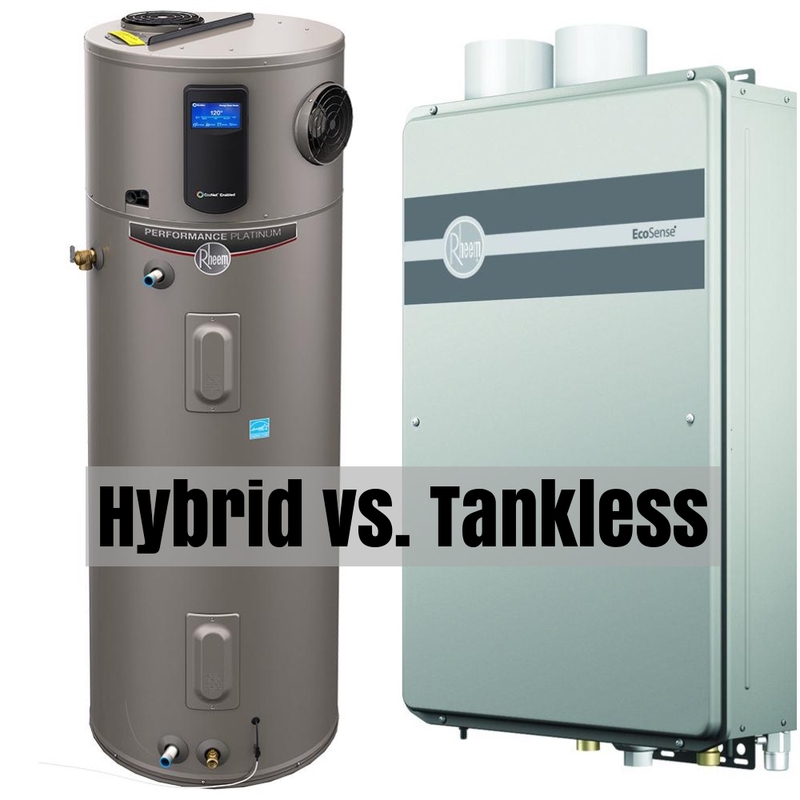 Many large homes have the hot water heater located far away from the master bathroom. This causes you to wait for hot water since the lukewarm water in the lines must be drained out. The solution to this is a recirculating pump. That used to require a line that was attached to the furthest fixture from the hot water heater. 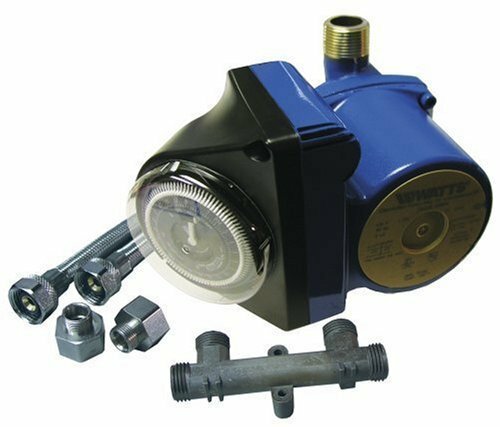 However, now there is a solution that allows a pump to be installed on the water heater and a small non-electric valve under the furthest sink. Also, you can set the pump timer so that you are not wasting electricity when it is not needed. 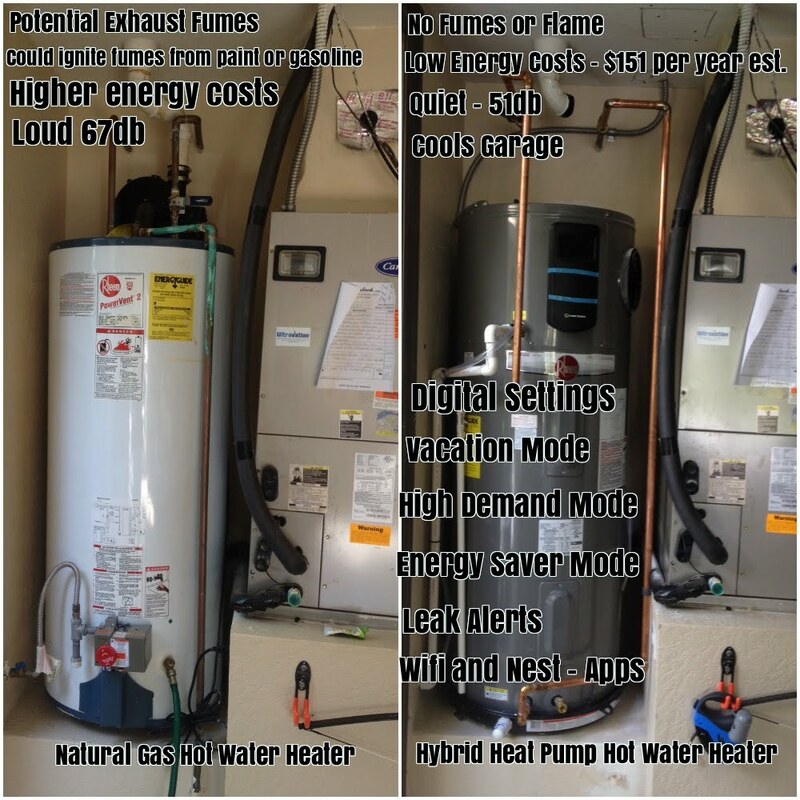 today and we can get you instant hot water to your master bathroom and kitchen. 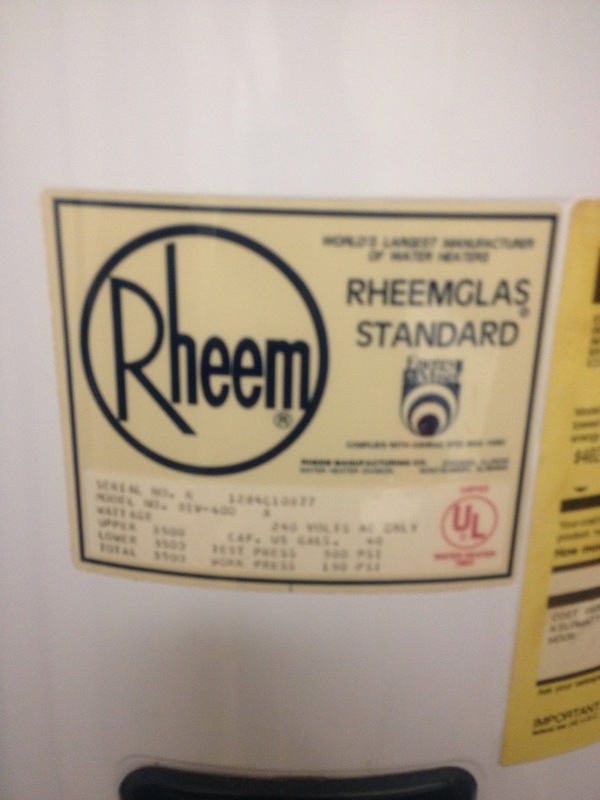 This customer had a hot water heater from Rheem and the date of installation was 1984. That was 33 years ago. 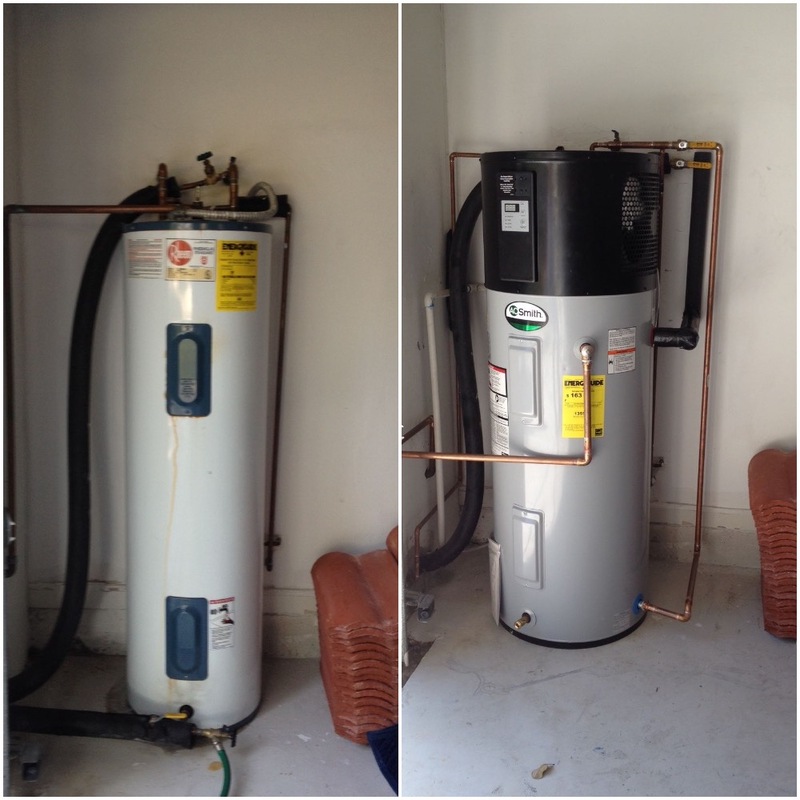 We installed a new Rheem Hot Water Heater and if the new one performs like this, the customer will not need a new tank until 2050. 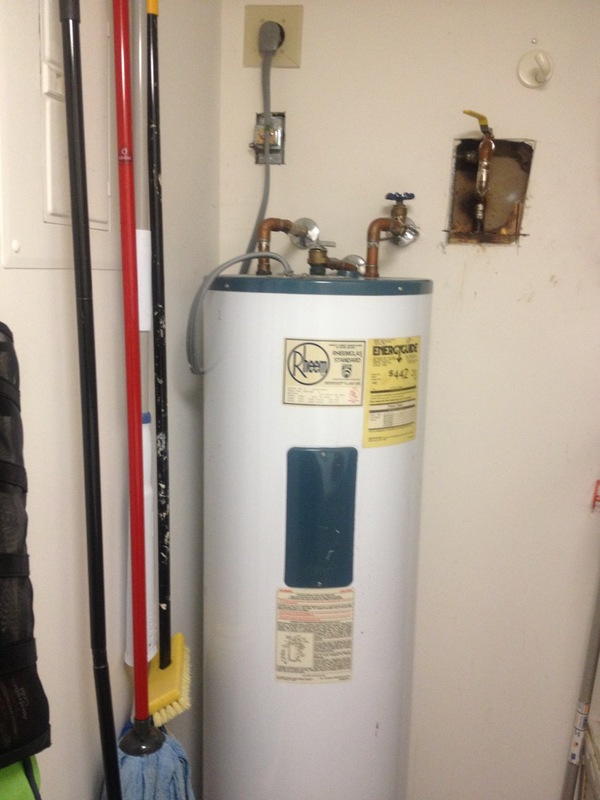 This is one reason that we install Rheem hot water heaters. They seem to outlast the other brands. BTW, the hole in the wall and other plumbing, is not our work. 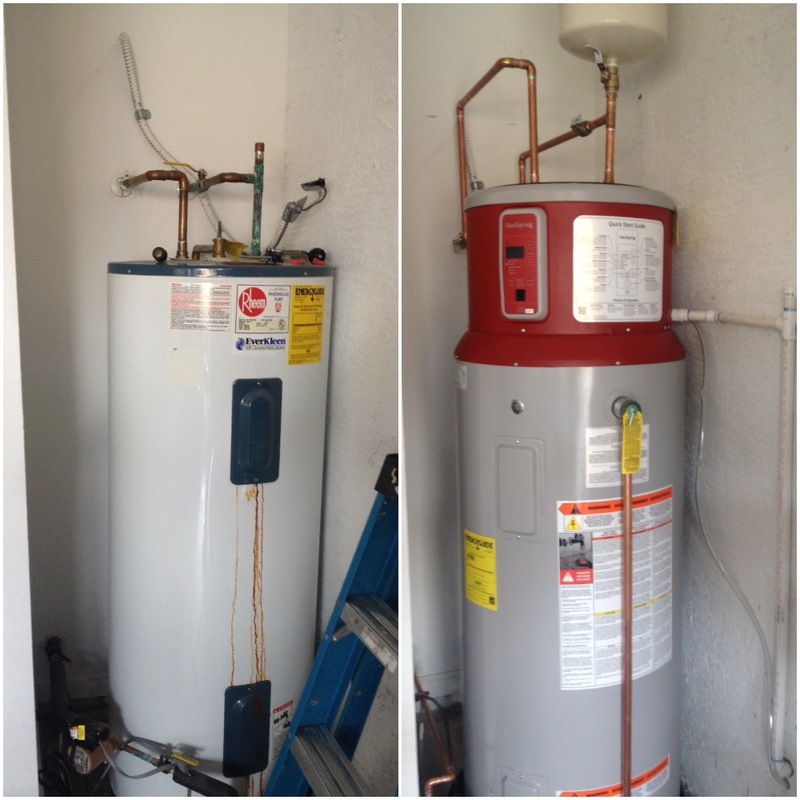 We cleaned up the old work and installed a new hot water heater.